← So, where am I now? 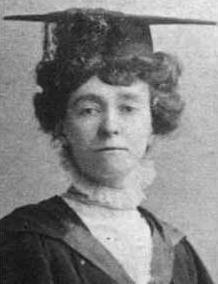 Today is the 100th anniversary of the death of Emily Wilding Davison, the suffrage campaigner who died at the Derby during a protest. I wrote this for her. The crowd’s roar almost pushing her on, she waits, tingling. And then everything else goes away but the beast looming up before her. She grabs the bridle with clumsy hands and for a moment it seems as if her banner will slip and be trampled. But somehow, somehow, she manages to attach it and as the horse veers away, she is left gasping, watching the colours flutter. There is just enough time for her to back into the arms already reaching out to seize her, as the rest of the field thunders past. They take her away, of course, and amid a huge public outcry she has her day in court. Something comes over her there that she can never afterwards explain: she has never spoken so well, the cause has never been so eloquently stated. But she is locked up anyway for a sentence designed to send a message. And it does. For her words are quoted, distributed, chanted. She becomes a symbol, though knows little of it while enduring conditions even worse than before. When she emerges, she is shaken and inarticulate, but it does not matter, for others lead the fight by then. And when it is won, she rejoices. After a time, she recovers. Her life is rich and eventful. She has terrible years and glorious moments. She watches the world change. And when she is old, they will come to her, these young women so full of possibilities, and ask her to recount over and over that act now enshrined as a turning point in history. She does so, gladly. But she never tells them that when the beast’s eyes were on hers, for a frozen second she pictured falling, falling, beneath his weight and everything ending. Emily Wilding Davidson will never tell them that.